Graveside services for Wilma Fay Herrington Black, age 87 of Abilene will be held at 10:00 A.M. Wednesday at Roselawn Park with Rev. Richard Hinton officiating. Arrangements are under the direction of Bailey & Foster. Mrs. Black died Saturday, July 11, 2015 at her residence in Abilene. She was born April 3, 1928 in Tuscola, TX. to Albert Rufus and Gladys McIver Herrington. She attended Ovalo High School and married Odis C. Black on November 6, 1945 in Sweetwater, TX. She was a member of View Baptist Church in View, TX. Mrs. Black was preceded in death by her parents, her husband Odis C. Black, son-in-law Kenneth Wade Thompson, grandson Darron Dion Thompson, her twin brother Willard Ray Herrington, brother Leamon Herrington, and sisters Lottie Bates, Billie Lusk, and Polly Williams. 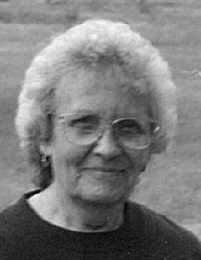 She is survived by her daughter Shelia Thompson of Abilene, her son and daughter-in-law, Gene and Patsy Black of Elkhart, four grandchildren, Donya Thompson and Kenny Thompson of Odessa, Gena Lohmeyer of Elkhart and Maegan Rowe of Palestine, twelve great grandchildren, six great-great grandchildren and numerous nieces and nephews. She was a loving mother and grandmother. Family was of the upmost importance and she was devoted to her family. She loved spending time with her family, enjoying fishing trips, card games and family get togethers. Visitation will be held from 6:00 to 8:00 P.M. Tuesday at Bailey & Foster Funeral Home. To view online leave condolences or sign the guest book go to www.baileyandfosterfuneralhome.com.